Time once again for the 52-week blogging challenge. This is the penultimate prompt. And it is "Neighbors." I live in a subdivision outside the city limits. My neighbors to the north are named "White" (I know this because they have a big sign in an island in their driveway saying "The Whites"). They also have a flagpole and fly either a U.S. flag or a Seahawks "12" flag from it. I noticed this year they didn't put the "12" flag up. Maybe because the Seahawks did poorly at the beginning of the season. Toward the end they played well enough to earn a "wildcard" slot. And then lose to Dallas. I don't know much about the Whites. They have an annoying dog who barks a lot. At least no one can sneak up on our front door because that dog barks at them. He drives an old Ford pickup that is puke beige with red markings. It is long and has dualie wheels. My neighbors to the south are Hispanic. I don't remember their names but they are nice people. Once when there was a fire in the field behind out house that threatened the house and I was out there with a garden hose trying to hold it back, their youngest (who was then in his late 20s) ran over with another garden hose to help me fight it. The the fire department showed up and put it down in about ten seconds with the massive water flow from their truck. The neighbors directly across the street from us I know almost nothing about. They have kids who look to be about 12 or 13 years old. Next door to them are neighbors we've known since we moved into the neighborhood in 1999. When my sons were in scouts, they were also involved in scouting (and still are). He's a retired Navy doctor and she's a retired nurse. I wrote a story about them for a local magazine. 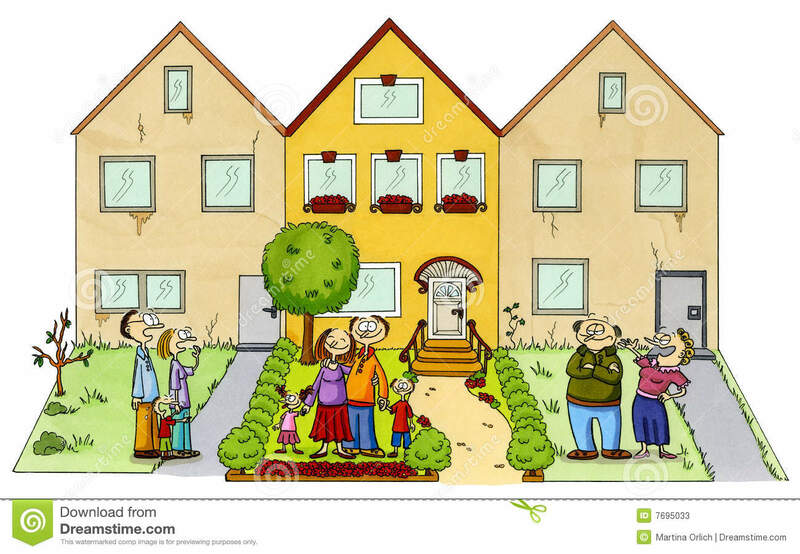 How do you get along with your neighbors? Let me know in the comments below.